Here’s what’s up in the world of TV for Monday, March 27. All times are Eastern. 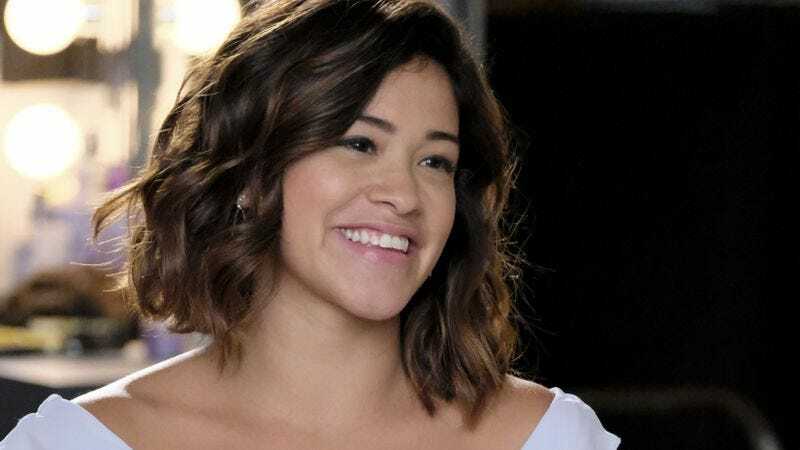 Jane The Virgin (The CW, 8 p.m.): It was heartbreaking to watch Jane The Virgin become Jane The Widow, but Mrs. Villanueva-Cordero has handled her grief with her usual grace. But it has been over three years since Michael’s death (in the show’s timeline; we know, it still feels like yesterday)—and this is primarily a romantic comedy—so Jane is looking to start dating again. Things won’t go smoothly of course, but Oliver Sava will be on hand to give Jane some advice, or a shoulder to cry on. My Big Fat Greek Wedding (HBO Comedy, 10 p.m.): It’s Chicago Week at The A.V. Club, which is as good a reason as any to watch this Windy City-set rom-com from Nia Vardalos. Toula (Vardalos) may be a late bloomer, but once she decides she doesn’t have to stick to traditional gender roles, she finds a career and love. It’s just too bad Ian (John Corbett) isn’t Greek. But that “flaw” isn’t held against him for too long. Ignore the comma-free title, the ill-conceived TV adaptation, and unnecessary sequel: This 2002 sleeper hit was and is a charming addition to the pantheon of romantic comedies.